Use TB1A8HF to reference this item. 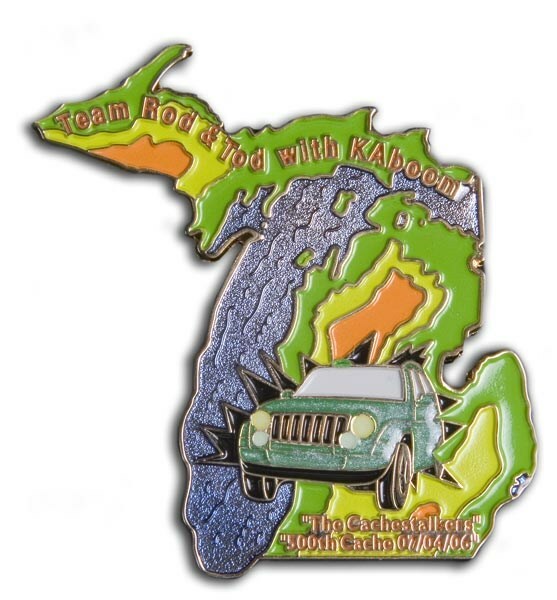 This coin is being released in memory of Tod from Team Rod & Tod w/KAboom, Tod was killed in a motorcycle accident on Aug 12, 2008 Please keep this coin moving to help spread the awareness of bikes on the road!! 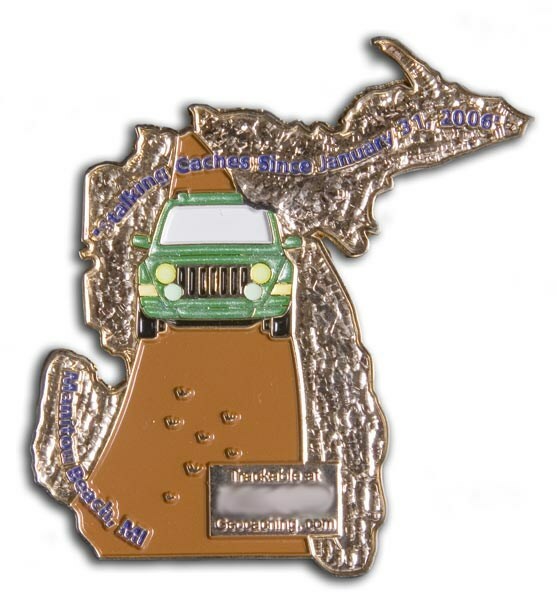 All bikers (motorized or pedal power) who find this geocoin, please take a photo wearing your helmet with this coin, then post it to the log you found this coin in and I'll add them to this gallery!!! It would also be fun to see if this coin could make its way to Fishers Indiana! Will have to check off at least Rhode Island for this one before sending it farther away, great coin idea! Discovered in Cache "Perryville Dam"
Will move this, and its message, southward. We noticed this coin hasn't been along to RI yet ... will move there this week! Just visiting this cache tonight ... we want to get pictures with this coin and our bicycle helmets before dropping it in the next cache. Sorry for the long hiatus over the holidays ... we've had some heavy snows and cold temperatures back home in Michigan that have been keeping our caching adventures away.